The World's most successful surfcasting line for more than twenty five years. 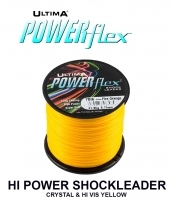 Trusted by top competition anglers across the globe, and has been used by the winners of more World and International Championships than any other line. 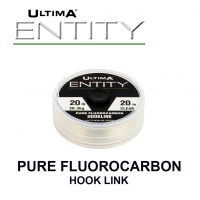 Ultima F1 is super strong, a dream to cast, highly abrasion resistant and completely reliable. It is this perfect combination of key characteristics that have made F1 legendary in competition. Ultima F1 has stood the test of time at the highest level and has proved that its performance and reliability are without equal. "Ultima F1 has been essential to my success in the last few years. You can’t get a more reliable high performance line"
"Ultima F1 is the outstanding all round beach line, with an unequalled competition record on the international scene. Ultima F1 has great strength, superb abrasion resistance and is very user friendly. "F1 Titanium is unbelievable stuff. The whole F1 range has got to be the highest performing and most versatile beach line on the market"
"F1 Black is super smooth casting and perfect for use where abrasion maybe a problem. F1 Titanium is my number one choice for clean beaches." "F1 is the best beach line there is and has proved itself at World Championship level in every situation time after time. It casts like a dream"
"I have been using Ultima F1 for a very long time and I have always been very happy with it. Its performance is legendary." "The best you can buy. It's a line you can use anywhere, on soft sand, mud, shingle or rocks." “The line is amazing, there is nothing else like it on the market! It has outstanding balance of qualities. 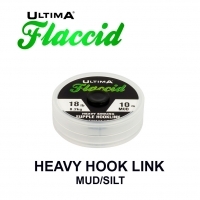 Smooth and manageable for distance when casting, sheer strength to pull out of snags over heavy ground, knot strength and fantastic abrasion resistance. F1 has it all. " "F1 can’t be beaten for all round performance. 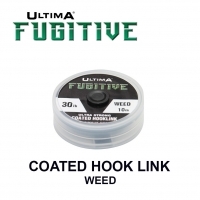 Its performance has stood the test of time and it has become legendary in te beach fishing world"
I use Ultima F1 in black and titanium because of its consistency in diameter and smoothness for casting and retrieve. It’s a line I trust to perform repeatedly. I use F1 Gold for fishing at night, the line performs impeccably in terms of strength to diameter and the colour allows me to see where its sitting in darkness. Have landed common skate to 30lb using this line. I have used F1 as my main line for several years now from clean beaches to seriously rough ground from 0.30 right up to 0.45 for the heavier ground. The knot strength and low stretch gives a guarantee of performance over any other line. 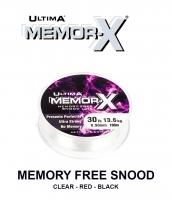 Ultima F1 has been the first choice for anglers on the UK match circuit and with many international anglers for many years. This high performance product has been designed using the highest quality materials to deliver the perfect balance of features for the competition and serious surf angler. 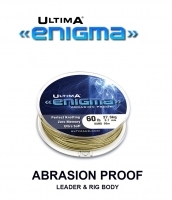 High linear and knot strength combine with a soft and supple nature to cast further and more accurately; excellent abrasion resistant qualities mean that Ultima F1 will always deliver, even in the toughest conditions. In the last twenty years Ultima F1 has been used by the winners of more World Championship events than any other line, a testament to the performance and reliability of this remarkable line that has now achieve legendary status. "I've been using F1 for the past 15 years or more so i was eager to see how the new Gold compared to the titanium and the black. Obviously the biggest difference was the noen green colouring, this stood out brilliantly in the dark which made identifying where your lines were situated easier, which is always a help when fishing pegged matches or busy beaches. It's superb"